Our aim is to provide a quality service unrivalled by our competitors. With professional staff committed to customer satisfaction we ensure your consignment meets your deadlines, anytime, anywhere. Our fleet and dedicated vehicles run 24hours a day, 365 days a year. With the latest IT Services we are able to offer our customers a personal and efficient solution. We are able to track our vehicles at all times, adding peace of mind and security to your consignments. LCL Express Ltd is a London-based, well-established and forward thinking haulage company with a fleet of vehicles ranging from Mercedes sprinter vans of all sizes, to 18ton trucks and 44ton articulated vehicles. We operate throughout the UK and also offer a European pallet distribution service. We have vehicles operating out of all UK major ports with a strong focus on Felixstowe, Tilbury & Southampton ports. We also have vehicles collecting cargo from London Heathrow on a daily basis allowing us to offer our customers a same day delivery. Whether you require a few boxes or a few pallets or full or part loads to be delivered, you can trust us to deliver your goods on time, every time. LCL Express Ltd has the expertise and knowhow to handle groupage cargo coming out of all UK major ports. We have 18toners and articulated vehicles visiting and collecting cargo for our freight forwarding clients every day. Our primary focus is always to deliver this cargo to their customers on time fulfilling the expectations of our customer and our client’s customers! With a city the size of London, you need a great courier service that covers all areas and provides you with the best transport choice for your delivery. That might be one of our large vans for pallet delivery or one of our smaller vehicles for parcel delivery. 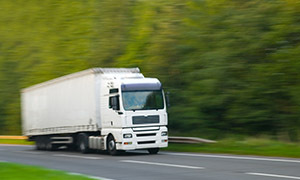 Whatever your requirements of a courier in London, LCL Express Ltd can deliver. Our services include same day timed-dedicated, next-day and 2-3 day deliveries. If cost is your most important driver then we can provide you with a cost-effective transport plan to courier your parcels or freight to anywhere in the UK. Wherever you are on the London map, we can collect within 60 minutes.